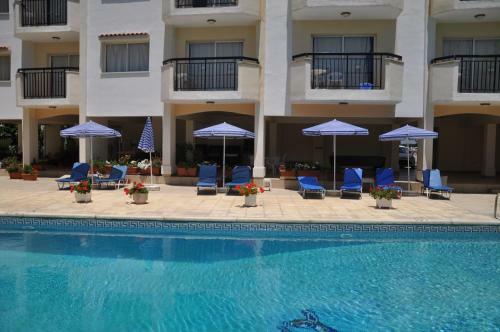 Great value for money on a budget ,,Apartments are lage enough for 4 people, bedding and bins cleaned daily, 2 pools and great owners, very friendly. A very Quiet hotel with not much going on in the evening,, great for relaxing and the town restaurant's 5 min walk away. Good value for money, Good brekfast and a nice staff. Good value for money. The facility is not extremely new but it is well kept and functional. Room was very large and clean. A lovely welcome by the owners. The rooms were clean, warm and very comfortable. When we arrived and left we were offered coffee and cake. Very nice touch. Owners very welcoming- staff friendly and helpful. Clean bedding every 3/4 days and clean towels most days or on request if required. Very convenient for Polis town and nearby supermarket. The hosts are very friendly and willing to help you with anything. The location is brilliant for us. A bus stop and supermarket nearby. We had a room with a pool view and it was nice to have breakfast on the balcony. In winter it's relatively warm inside, if you turn the a/c on. But it is only in the sleeping room. It's also old, but works really well. Very spacious room. The owners were super-friendly and very helpful. Good location. Highly recommended! Towels and sheets were changed every other day; room was cleaned daily. Plenty of hot water in the bathroom; the kitchenette was well supplied with crockery, pans, cups etc and the kettle, fridge, microwave and hotplate were all in good working order. Location was perfect for the centre of town and the beach. Lock in a great price for Mariela Hotel Apartments – rated 8.2 by recent guests! Mariela Apartments are spacious and offer a well-equipped kitchen, perfect for guests who prefer to cook for themselves. 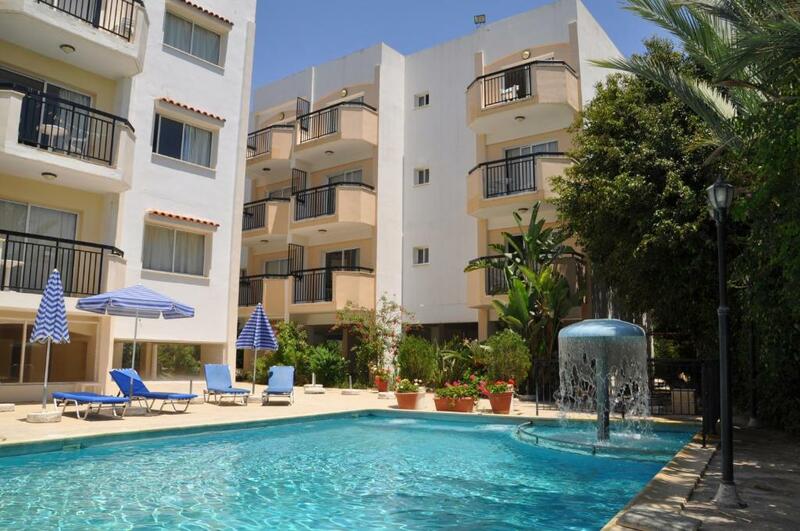 The apartments also have large balconies with great views of the surrounding areas. There are BBQ facilities on the grounds, for those who would like to enjoy their food under the Mediterranean sun. Mariela Hotel provides entertainment in the form of theme nights. 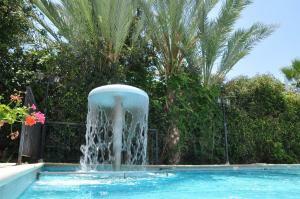 Guests can have a dip in one of the 2 swimming pools available, or play one of the many games on offer in the hotel. 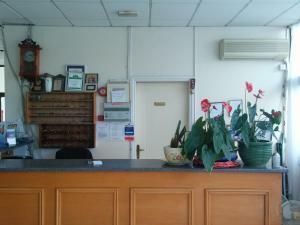 Guests wishing to explore this exciting landscape of country hills and mountains can rent a bike or car from the hotel. There are also plenty of hiking opportunities nearby. 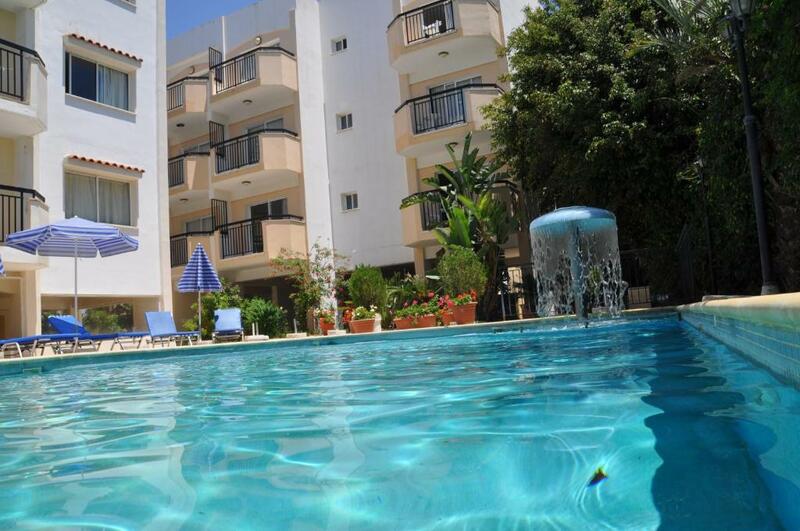 There are many restaurants and shops within 10 minutes’ walk away, making Mariela Hotel a convenient base. 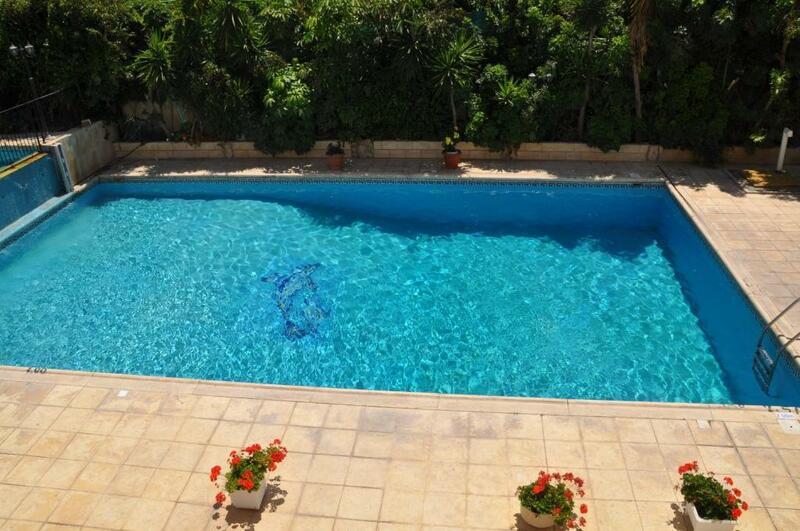 When would you like to stay at Mariela Hotel Apartments? It has a large living and sleeping room with 2 sofa beds. This room is for one person, with a large living and sleeping room. Spacious room with a satellite TV and balcony. The family room accommodates up to 4 people. It has a large living and sleeping room, and a separate bedroom. Air conditioning is available in the bedroom and its use is subject to extra charges. Offers private balcony overlooking the lake. Features cooking hob and fridge. Maid service is 6 days a week. Free Wi-Fi is included. Air conditioning is at extra charge. Offers private balcony, cooking hob and fridge. Maid service is 6 days a week. Free Wi-Fi is included. House Rules Mariela Hotel Apartments takes special requests – add in the next step! Mariela Hotel Apartments accepts these cards and reserves the right to temporarily hold an amount prior to arrival. The payment was deducted from our credit card two times. I have contacted the property but did not get a response. We had a room that got no sun during the day, and the weather wasn’t good, so the room was cold. It would be brilliant in the summer when temperatures soar. It was freezing and only heating was part of the air con in the bedroom. The blankets on the sofa beds were very tatty and stained and did not keep my children warm at all. It was not very clean. My child was sick near the lift and when I spoke to a member of staff they gave me a mop and bucket and told me to clean it myself as their were no cleaners! The swimming pool was dirty and full of twigs and fallen leaves and looks like it needs a good clean. Everything is pretty old and worn out. It seams to be a little dirty. Limited work surface and storage cupboards in kitchen area of this studio than in previous stays at this accommodation. Friendly staff. Location, within walking distance to restaurants, supermarket and bus stop. 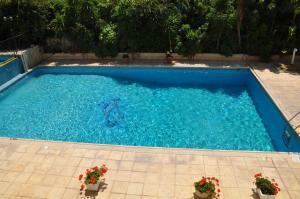 Two swimming pools with adequate pool area and sun loungers.